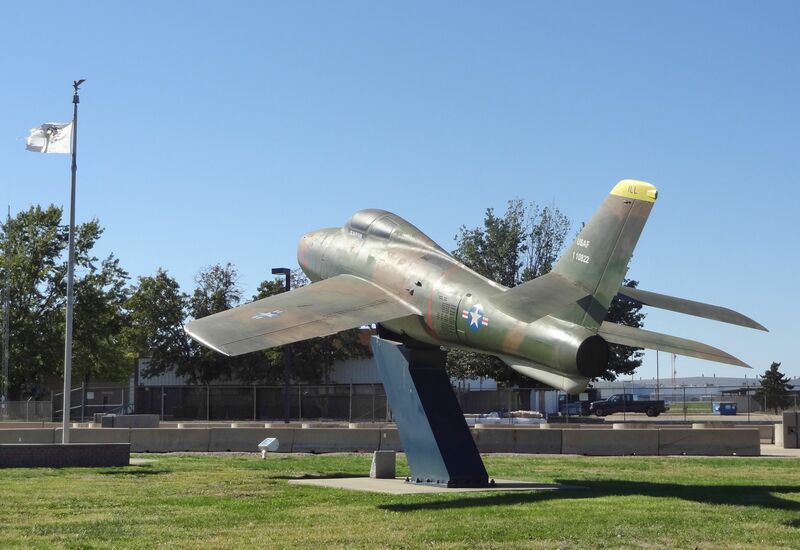 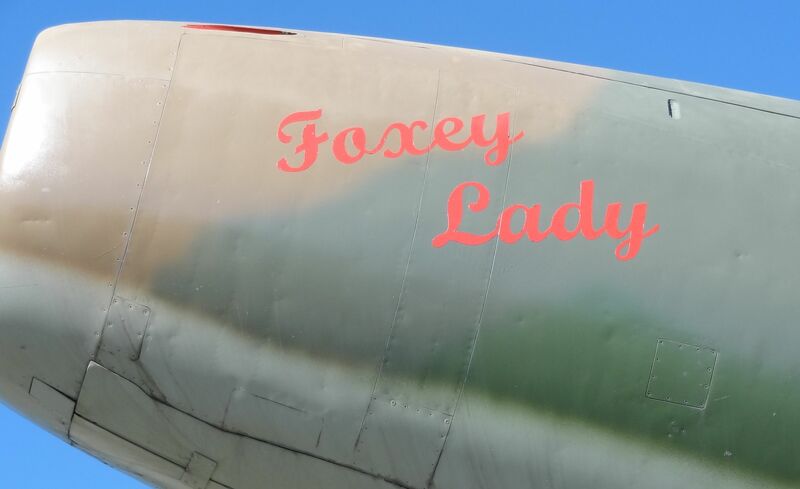 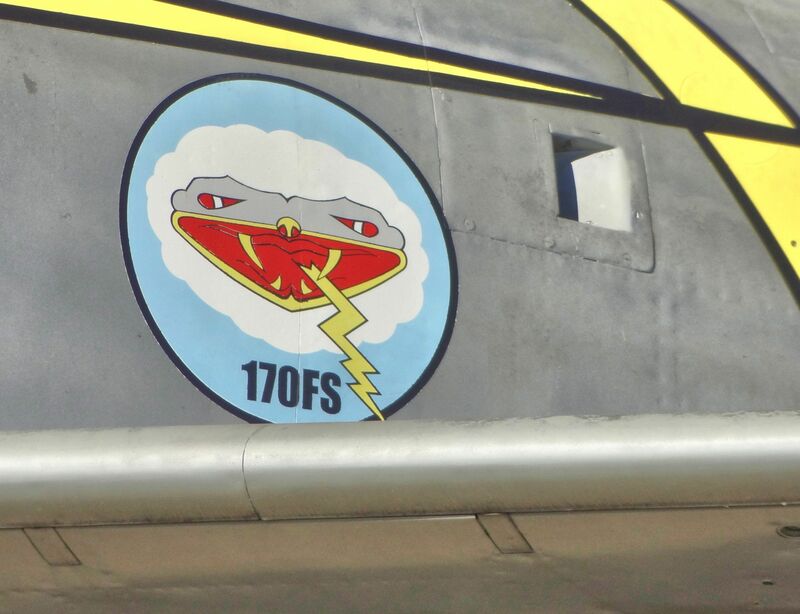 The Sabre flew with the 170th TFS, 183rd TFG for less than two years between Mustangs and Thunderstreaks. 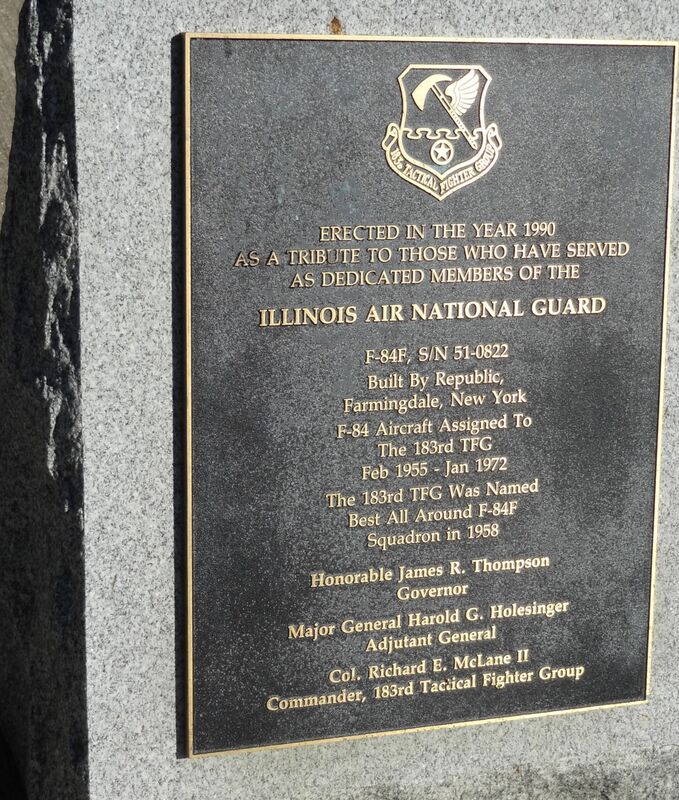 Ralph Bush was group commander several years; later commanded the Illinois National Guard at Camp Lincoln on Springfield’s north side. 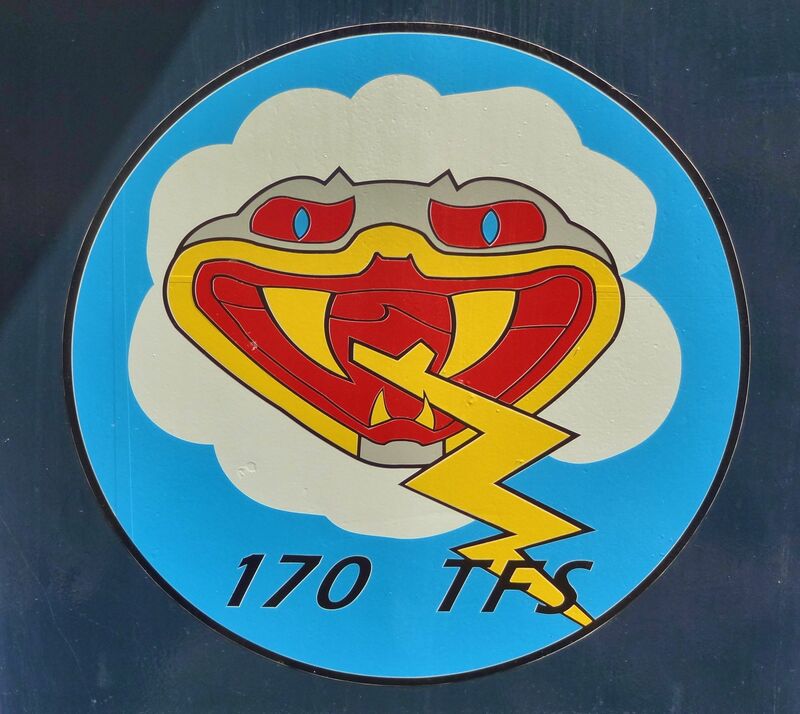 insignia of the 170th Tactical Fighter Squadron, Illinois Air National Guard. 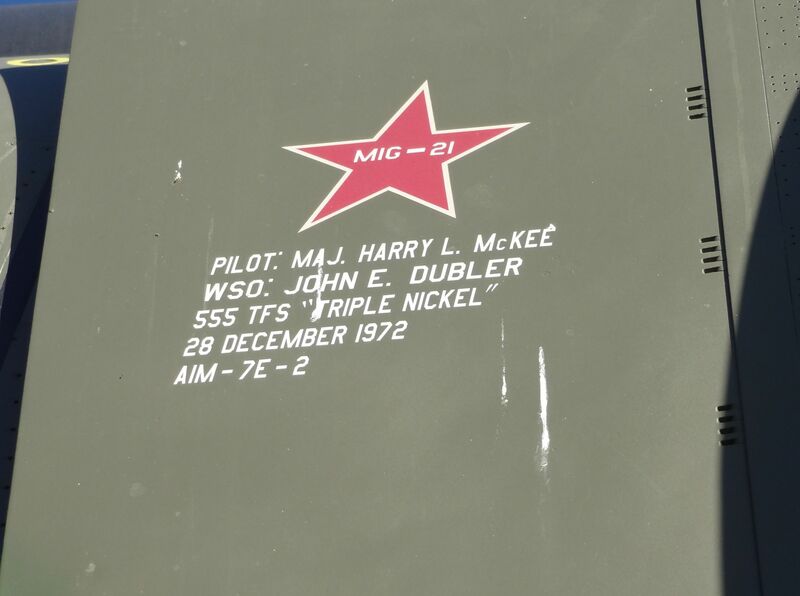 Whi8le in combat with another unit over North Vietnam, the crew of this 4 downed a MiG-21. 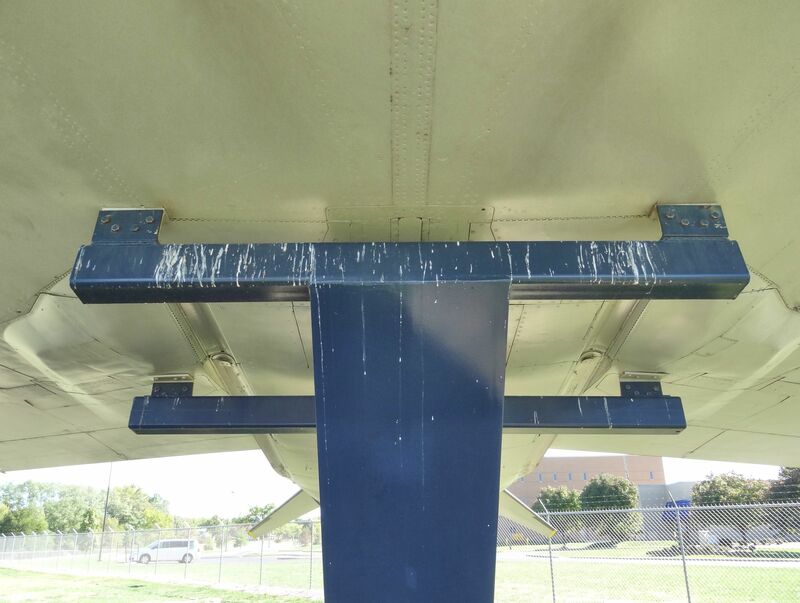 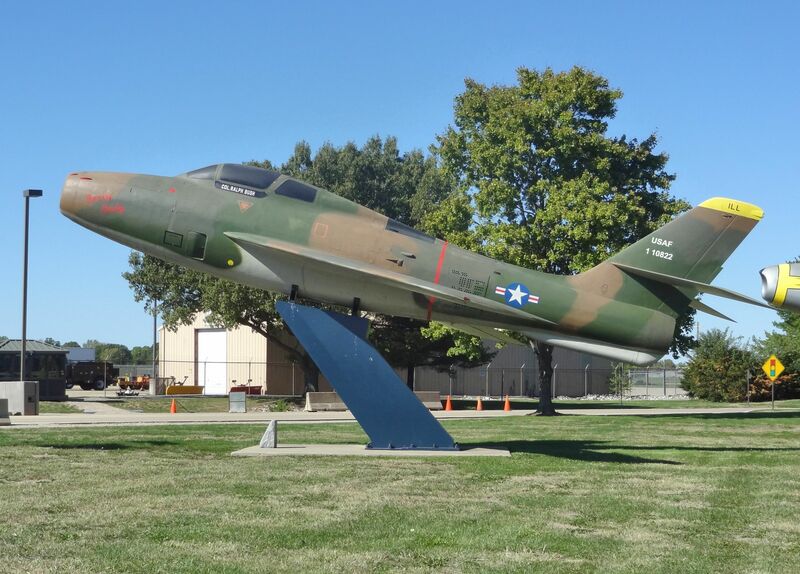 Few MiG kills have been made over central Illinois. 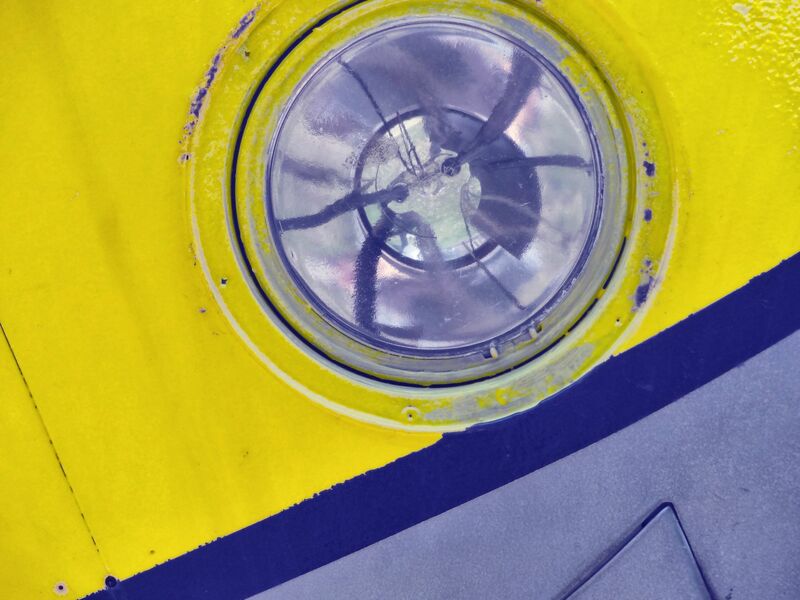 I “added” a “sun” to the upper right of this picture. 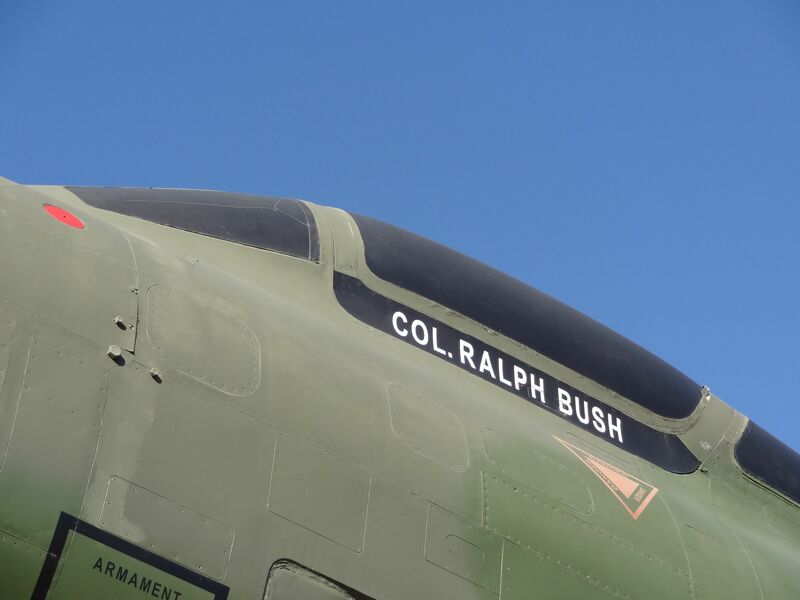 The sky was pure blue when the picture was taken. 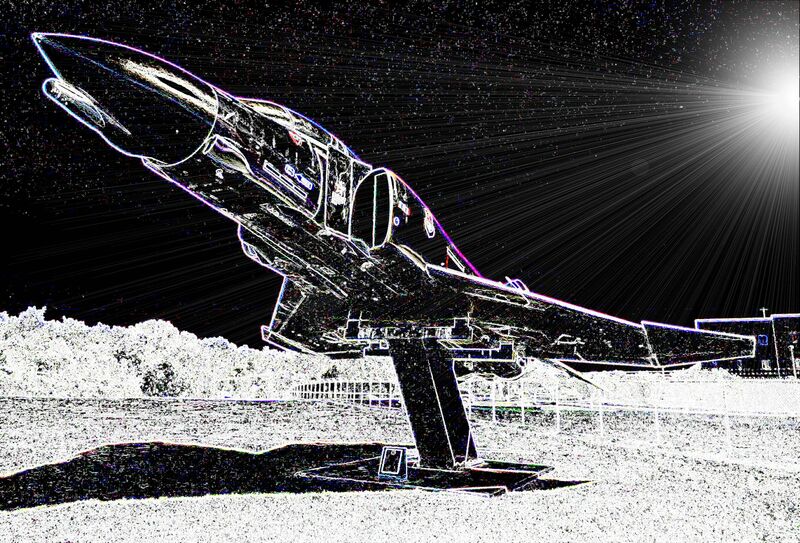 This picture was also retouched. 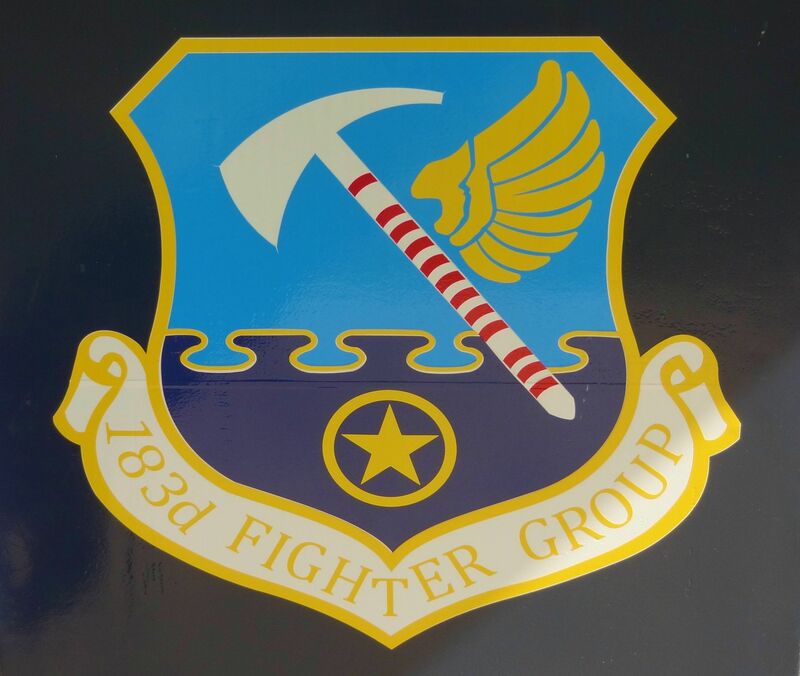 The badge of an exemplary ANG unit. 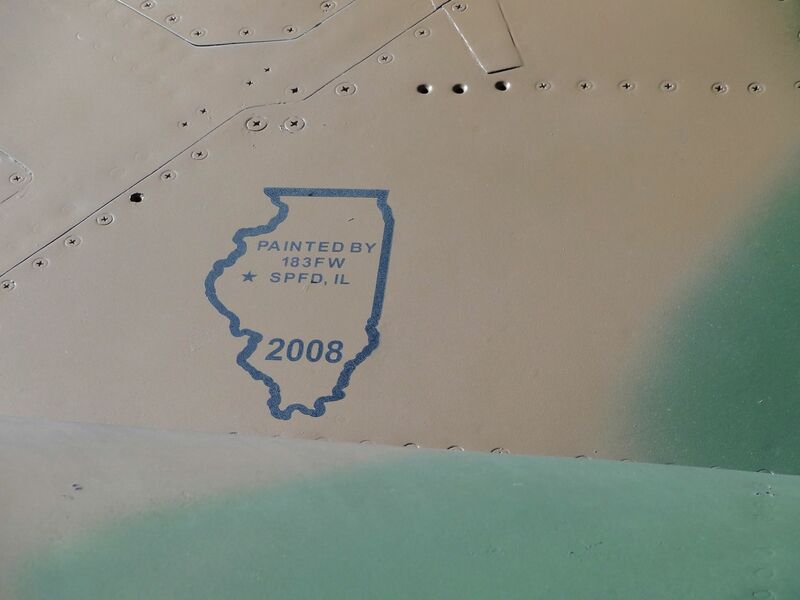 The 84F was repainted in 2008. 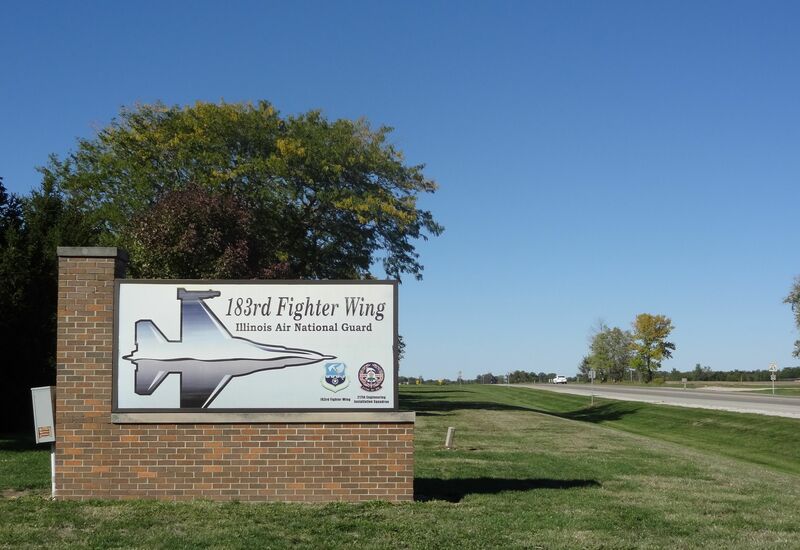 The main entry gate has been relocated to the recently completed airport drive, at the first stoplight after the one at Veterans Parkway to the south. 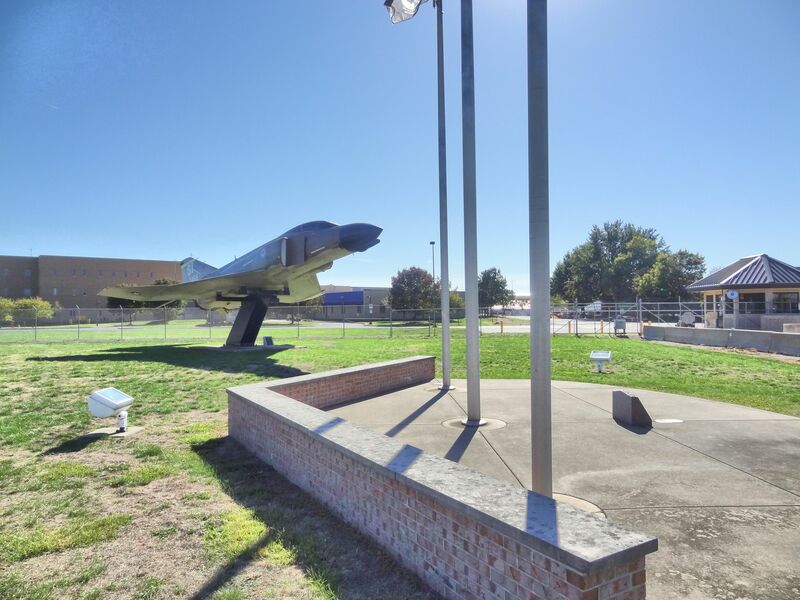 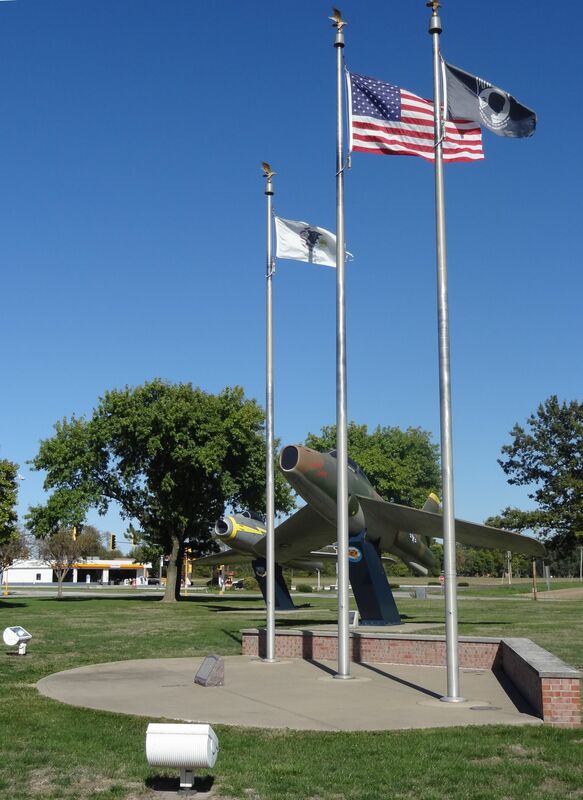 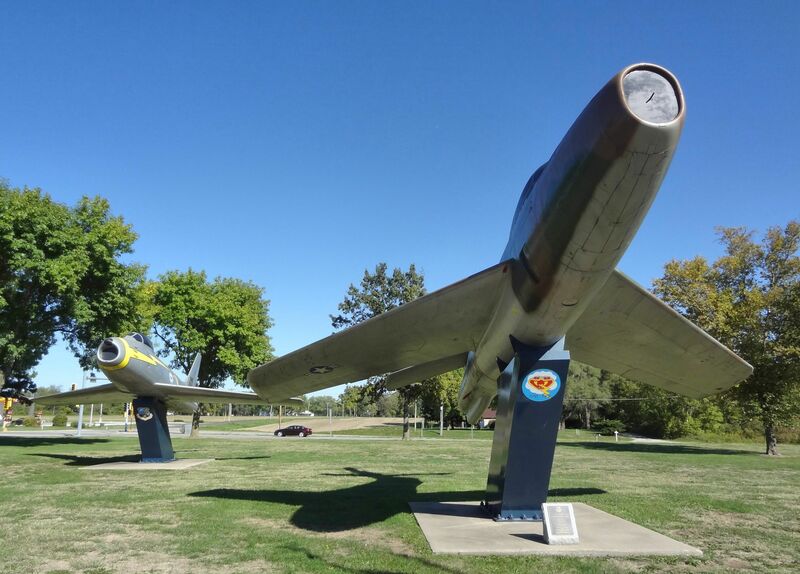 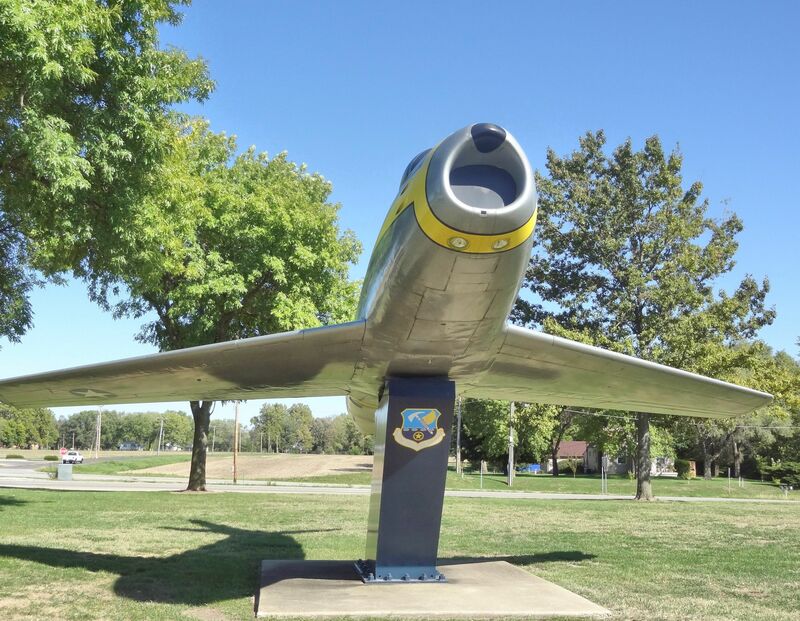 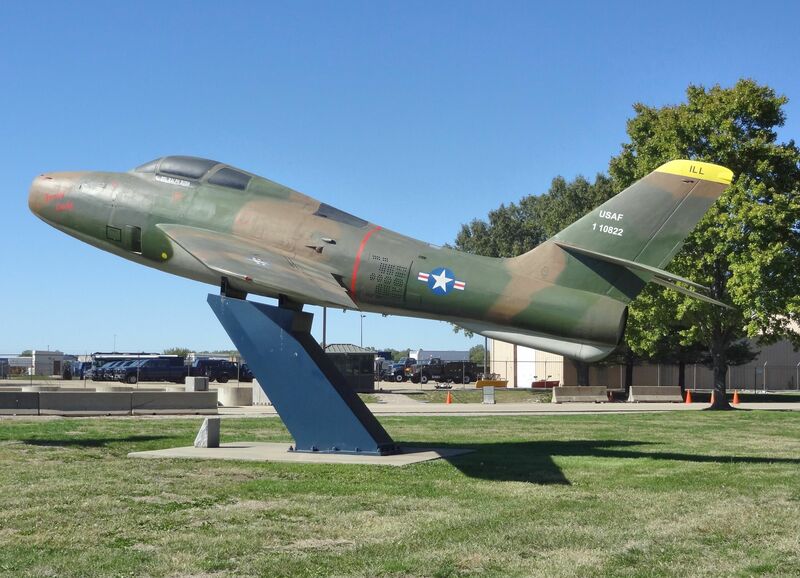 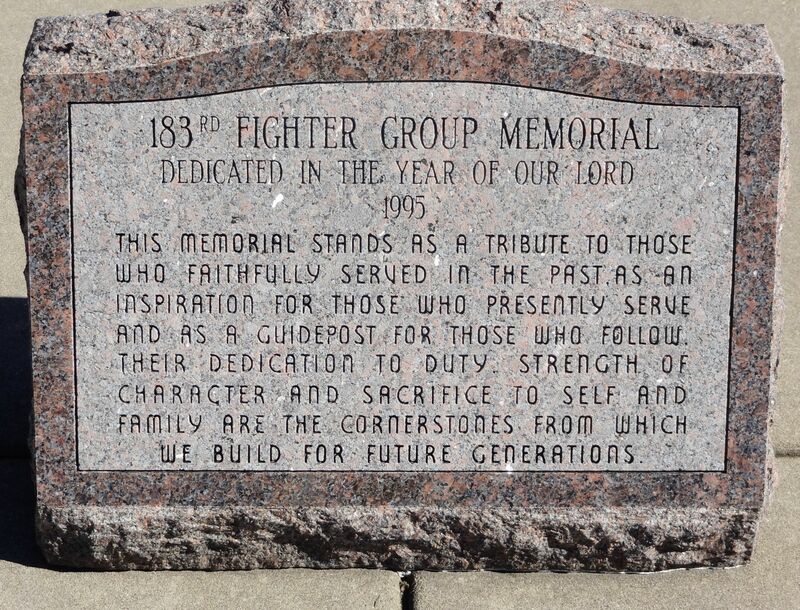 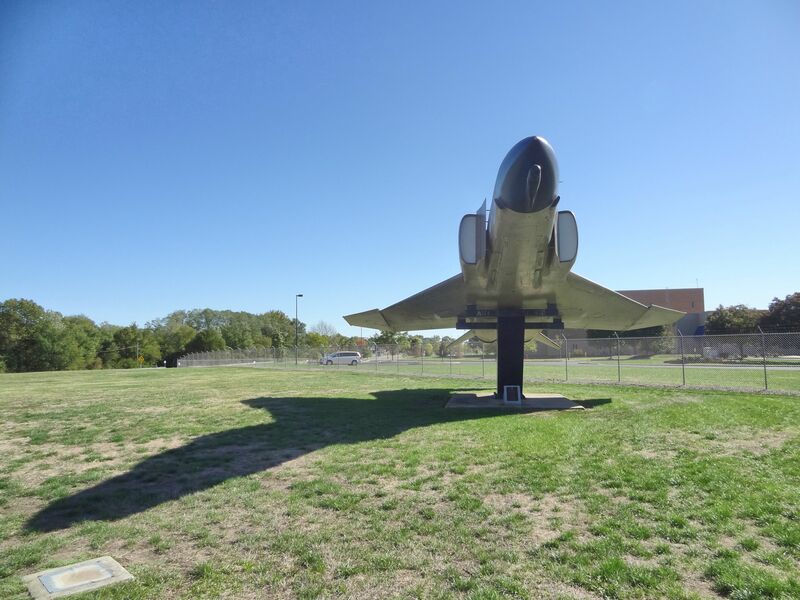 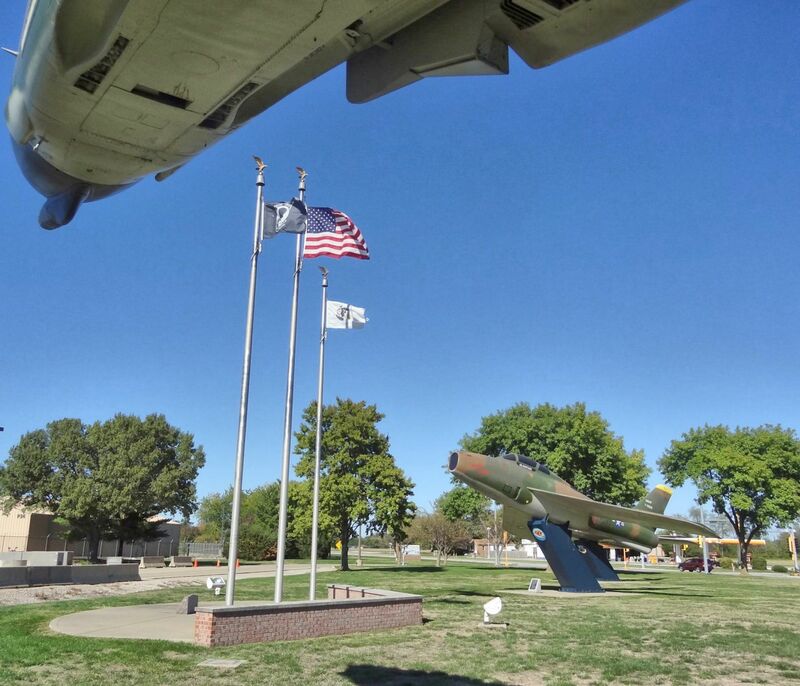 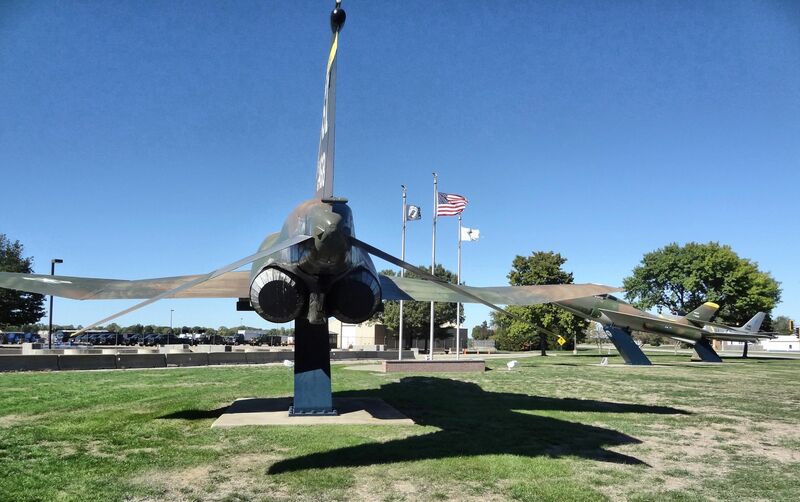 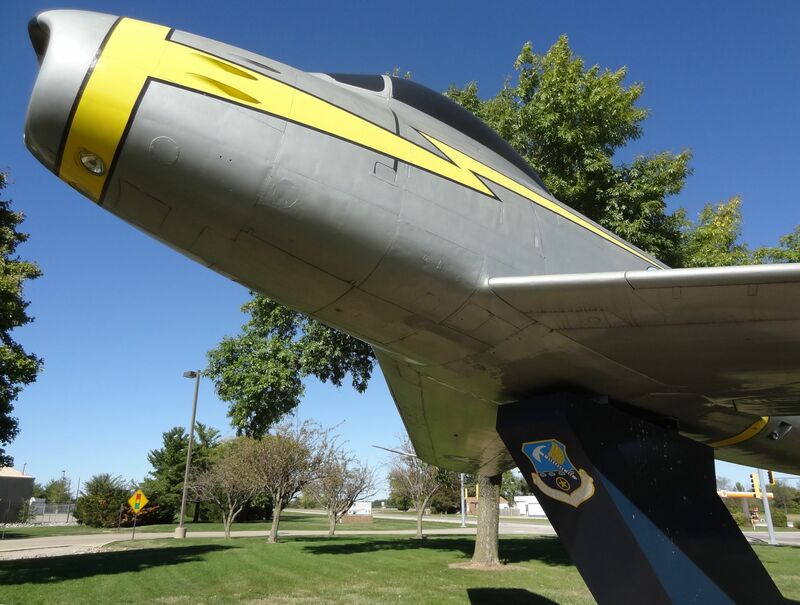 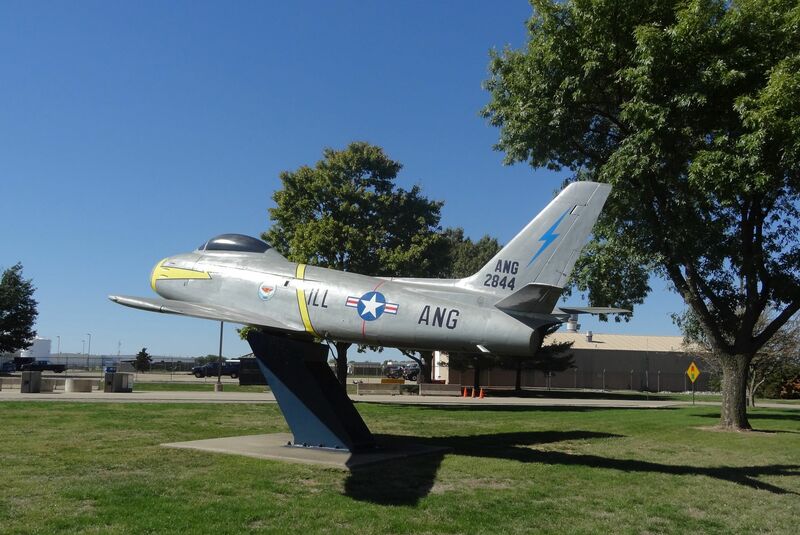 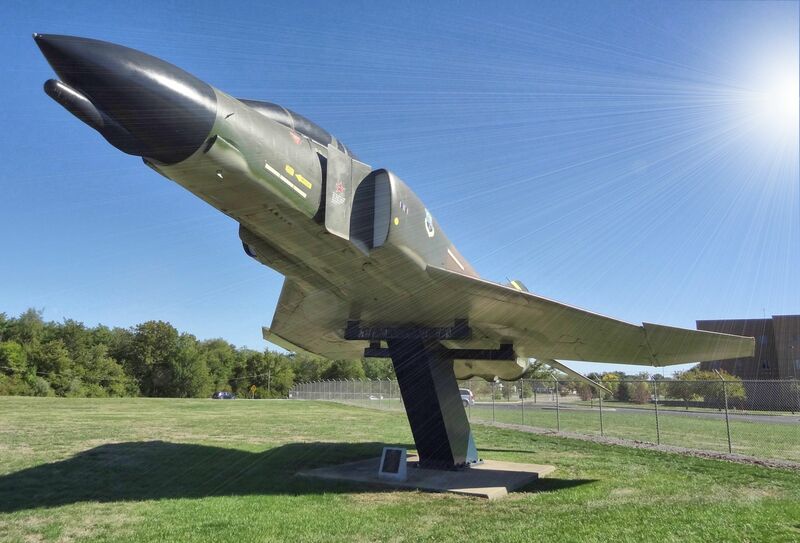 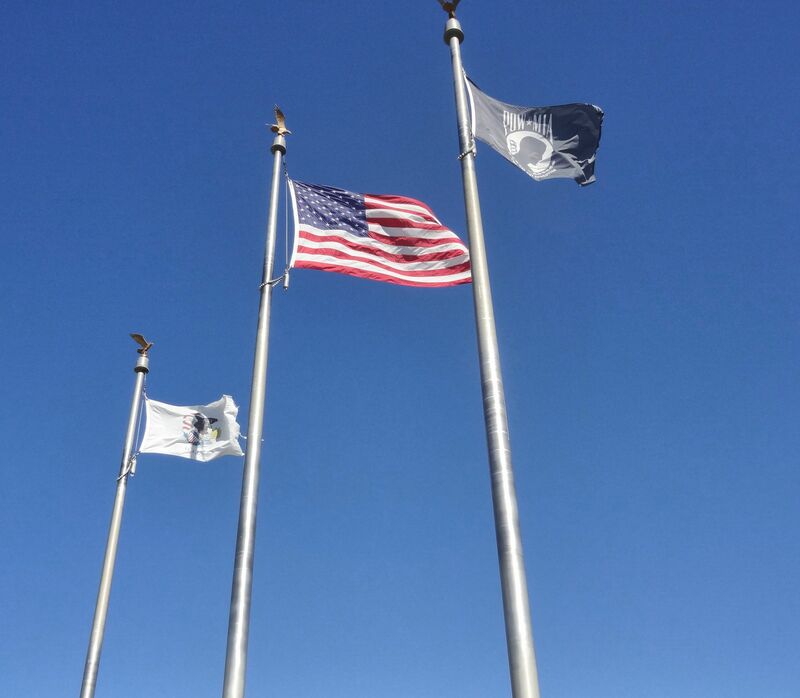 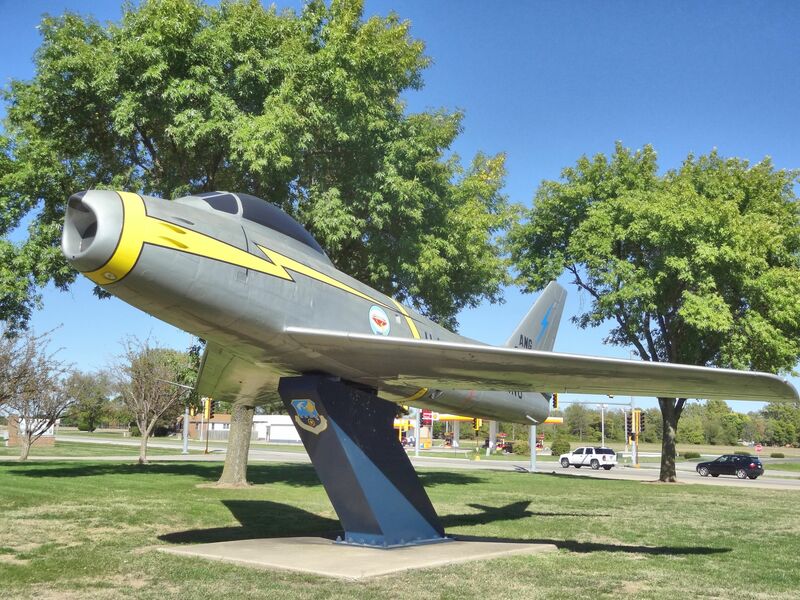 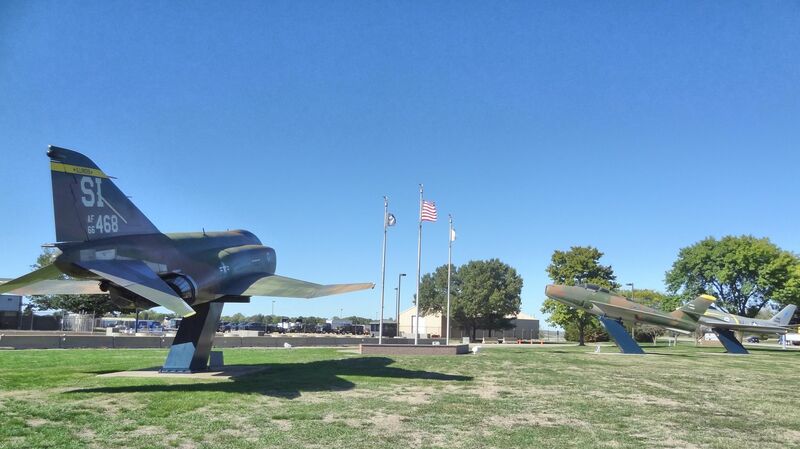 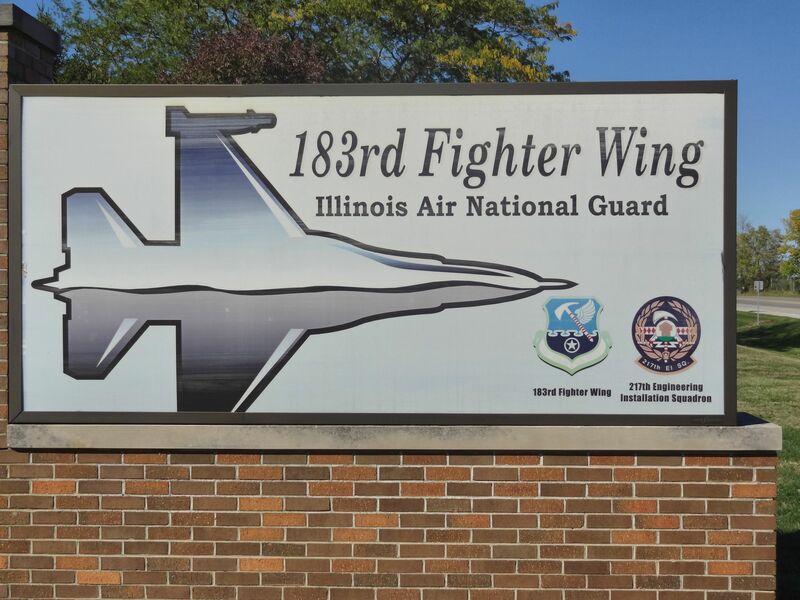 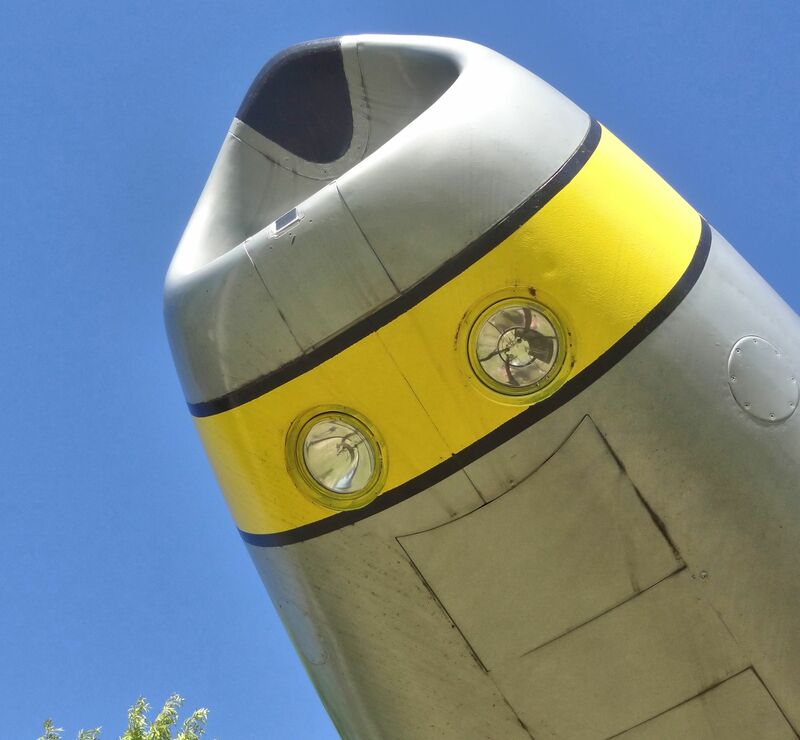 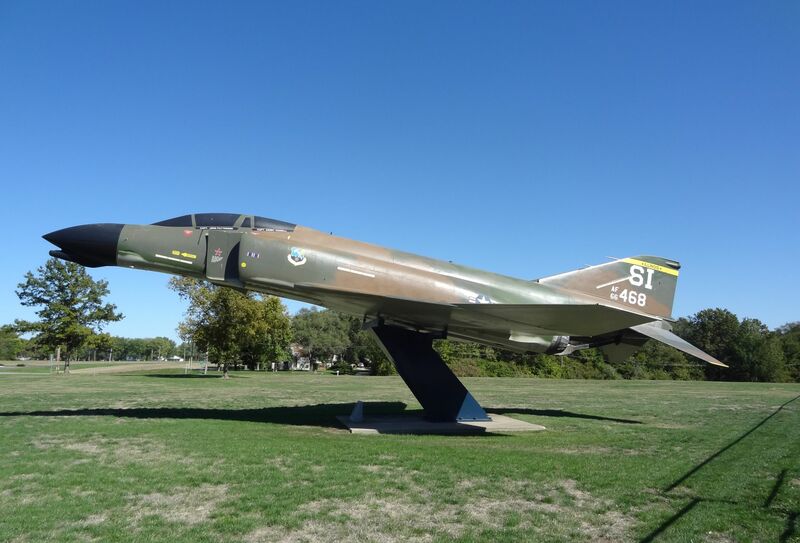 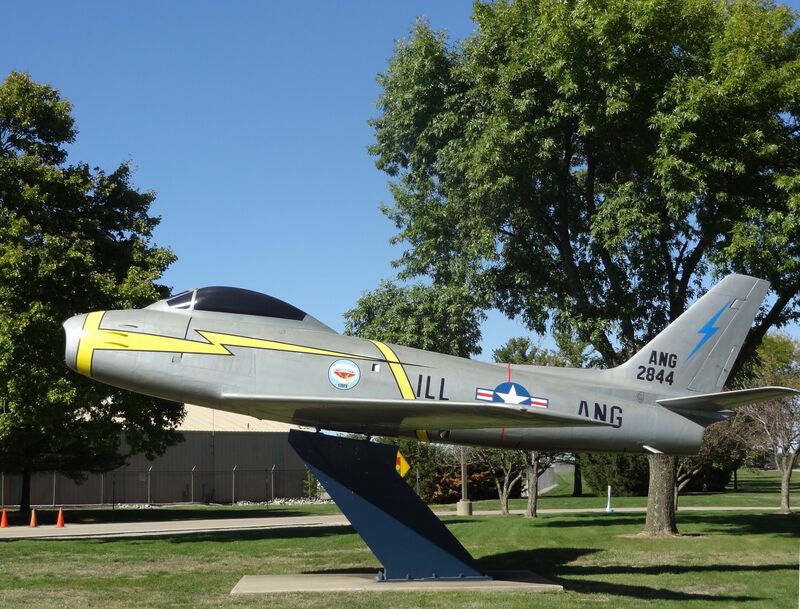 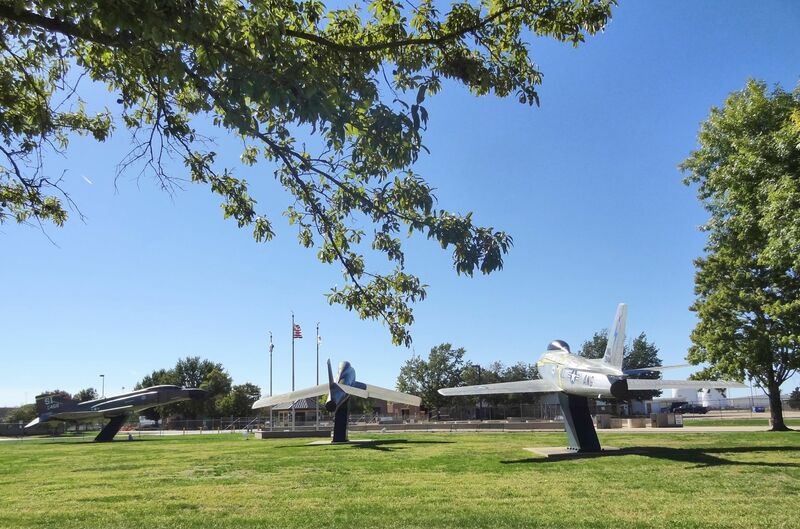 AeroKnow Museum of Springfield, Illinois salutes the 183rd Fighter Wing.